Wide range of wedge wire screens with slot widths from 0.05mm (50 microns) and open areas from 2% through to 40.0% provides solutions for many filtering and separation applications. One of the important features of wedge wire screen for filtering and separation is the continuous aperture or “slot”, which automatically provides a large open area guaranteeing a very low pressure drop through the filtering surface with a low tendency to blind or clog. 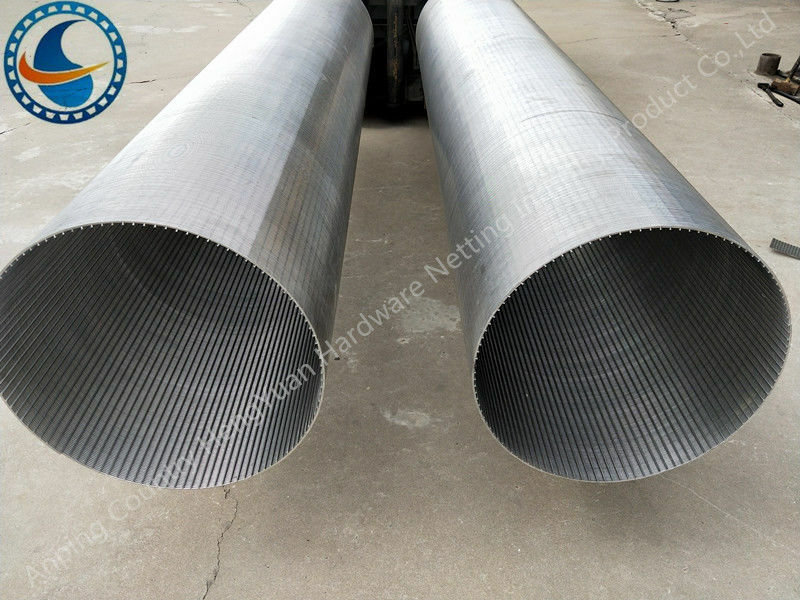 Due to the wires being wound close together and the large number of welds, wedge wire screens are inherently strong and able to provide extended life in such areas as industrial waste treatment. The continuous aperture and triangular wire section ensures there are only two particle contact points, which minimizes the risk of blinding and clogging. Segmental wedge wire screen floors can be designed for individual requirements in terms of finish, number of segments and diameters for the needs of the brewing and sugar industry. 1000,2000,3000 0.05,0.1,0.25,0.5,1.0 weldedrings,male/female threaded coupling ,flange,closed up. Coal processing, mineral refining, gold, aggregate, sand and gravel, abrasives, cement, clay, pulp and paper, wood products, steel-cokes, sinter, iron, architectural, farming, chicken, food processing, sugar, brewing, matting, grain treatment, animal feeds,fertilizer, rendering, health, chemical, petroleum, paint, plastics and vibration. 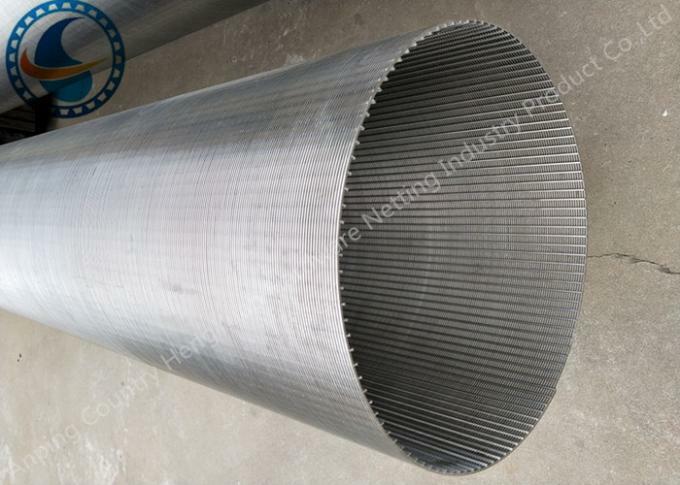 Wedge wire screen used in equipments: vibrating device, carbon screens, intertank screens, kemix screens, shakers, stationary and vibrating sieves, centrifugal dryers, screw conveyors, washers, scrubbers, noise control flumes, filters, pressure sieves, tank bottoms, digesters, Jigs, cyclones, mills, feeders, floor grades, trammels, pipeline strainers, ion exchange vessels.